Quantum has assembled an Exploration Team of highly competent and knowledgeable professionals with extensive experience, who have been intimately associated with all aspects of acquiring, developing, operating and managing oil and gas producing properties. Quantum and its Strategic Partners have substantial experience in the complete coordination and administration in the areas of drilling, completion, production, and workover operations. Quantum also makes extensive use of qualified contractual and independent consulting technical specialists relative to geological, geophysical and engineering areas of expertise during each of these upstream operational activities. Quantum makes specific use of the best service companies available relative to its drilling and completion operations. 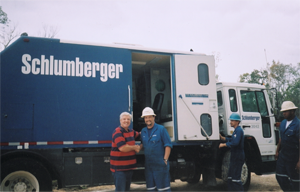 Various photos attached reflect the activities of Schlumberger Wireline Services and Halliburton Energy Services, during some of the logging and perforating operations by Schlumberger, and the cementing operations by Halliburton, on recent Quantum Energy Projects. 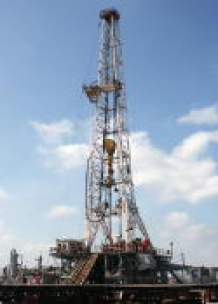 Independent Drilling Contractors are utilized in connection with the drilling of vertical and Horizontal Wells. Several photos illustrate these operations, and the various ancillary equipment employed in the hydraulic fracturing of Horizontal Wells, particularly in the Haynesville Shale Formation. The use of underbalanced drilling techniques, combined with extensive "frac operations", can result in significantly improved production of natural gas and oil, even greater than with customary vertical wells. For a reservoir rock formation to be a commercial producer of oil and natural gas, three (3) basic characteristics need to exist. 1. A formation Drive that can push and force the natural gas and oil toward the Wellbore that was drilled. This Drive can be a Water Drive, a Gas-Solution Drive, or a Gas Cap Drive. Many Drives are a combination of these. 2. A formation with Porosity. The rock must have sufficient "Pore Spaces" that can hold the oil and natural gas. These Pore Spaces can be equated with the size of the individual rooms in your house. 3. A formation with Permeability. The rock must have sufficient "doorways" and "hallways" to permit the oil and natural gas to move (flow) from one room, out the door, down the hallway, to another room, then thru that doorway down the hallway to another room, and so forth, until the oil and natural gas reach the Wellbore. 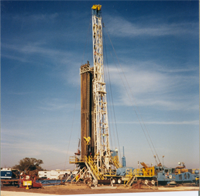 The Haynesville Shale Formation has extremely low permeabilities, and thus prior attempts to produce the Formation with vertical wells had marginal results. 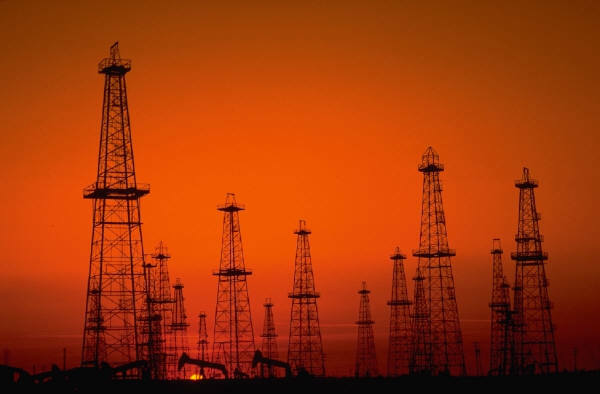 Today's modern drilling methods now permit the drilling of Horizontal Wells that can extend for thousands of feet horizontally in the Shale Formation. After perforation, a significant hydraulic fracturing operation is performed on the Shale, that cracks and "fracs" the Formation to create new "hallways" and "doorways" to permit large amounts of oil and gas to quickly escape from all the "rooms" (Pores Spaces), where they had previously been trapped. This is called "Secondary Permeability", and once these fractures are created thru the implementation of strong pressures applied to the Formation, a "Propant" is forced out into these fractures to hold them open once these pressures are removed. Quantum Energy and its Strategic Partners fully utilize these modern technological drilling procedures to further enhance production rates and overall performance. The full development of the Mineral Leases that Quantum acquires is greatly increased by the implementation of these innovative procedures. This results in substantially higher Royalty Revenues to the Mineral Owners.